The first version of the Iowa Pest Resistance Management Program (IPRMP) is now available! This is an Iowa-specific effort to address pests— including weeds, insects and plant diseases—that can adapt and become resistant to chemical, genetic, and agronomic control practices. The IPRMP outlines approaches for effective, integrated management solutions that will sustainably manage pests. By fostering methods to detect resistance, pest resistance can be delayed or even prevented, limiting its spread. The IPRMP will be updated as efforts progress and new information becomes available. A two-page summary handout of the IPRMP is also available. Given increased attention on the impacts of pesticide-resistant pests on agronomic practices and the changing national regulatory framework to address resistance management, Iowa State University, College of Agriculture and Life Sciences (ISU/CALS), and the Iowa Department of Agriculture and Land Stewardship (IDALS) facilitated a one-day meeting on January 30, 2015, to discuss pesticide resistance management options in Iowa crop systems. The meeting included representatives from the Iowa community of farmers, agriculture support networks, and pesticide technology providers. Planning for the workshop included input from Iowa farm organizations, cooperatives, agricultural retailers, certified crop advisers, independent crop advisers, land management firms, and pesticide companies. Subsequent to the meeting, Iowa AgState* concurred the time was right for preparing such a plan. 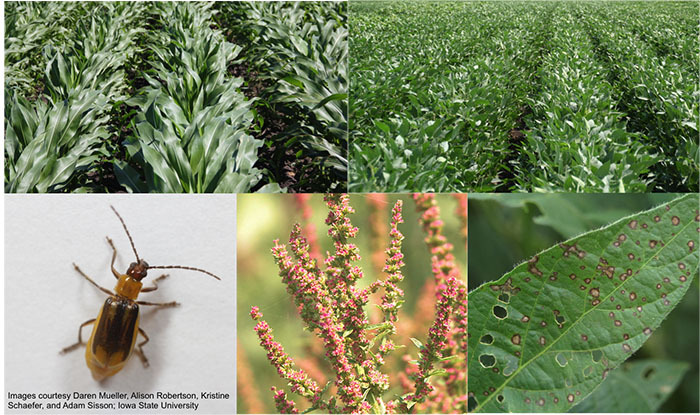 A task force comprised of representatives from a cross-section of Iowa AgState organizations, agricultural pest management technology providers, IDALS, and ISU/CALS, was formed to develop a conceptual framework for an Iowa pest resistance management plan. *Iowa AgState (Iowa’s Agricultural Strategic Thinkers Acting Together Effectively) was formed in 1997 as representatives of farm and commodity organizations, agribusinesses, state government, and ISU/CALS addressed the need for a long-range, strategic plan for Iowa agriculture. The central goal of the group is to increase the size and scope of Iowa agriculture. 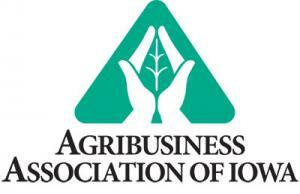 Members of Iowa AgState include: Agribusiness Association of Iowa, Iowa State Dairy Association, Iowa Cattlemen’s Association, Iowa Corn Growers Association/Iowa Corn Promotion Board, Iowa Farm Bureau Federation, Iowa Institute for Cooperatives, Iowa Pork Producers Association, Iowa Poultry Association, Iowa Soybean Association, Iowa Turkey Federation, Iowa Department of Economic Development (ex officio), IDALS (ex officio), and ISU/CALS.